3. Prevent oxidation, so benign kinds don't become harmful to arteries and promote arthrosclerosis. With this in mind, here are some crackerjack nutritional aids worth keeping on your roster of heart healthy helpers. Omega 3s including those found in fish like salmon and seeds like flax lower triglycerides and blood pressure and are anti-inflammatory. Look for fish oil containing EPA and DHA. Niacin (Vitamin B3) – lowers triglycerides and the bad kind of LDL cholesterol. It also reduces levels of Lp(a), a bad type of cholesterol, and raises HDL, the good cholesterol. Pantothenic acid (vitamin B5)- lowers triglycerides and LDL cholesterol, while increasing HDL. Vitamin C, Co-enzyme Q-10 and Vitamin E (mixed natural tocopherols and tocotrienals) but together. These powerful anti-oxidants have been linked to higher HDL levels and preventing LDL oxidation. Don’t supplement Vitamin E on its own, because it may become a pro- oxidant and increase the risk of cardiovascular disease. Taking E with Vitamin C and Co Q-10 prevents this. Prebiotics in the form of oligosaccharides (aka FOS) are a type of soluble fiber that feeds beneficial gut bacteria. Consuming them can increase levels of HDL cholesterol. Press here to read about low cholesterol diet tips along with more info on cholesterol lowering supplements. 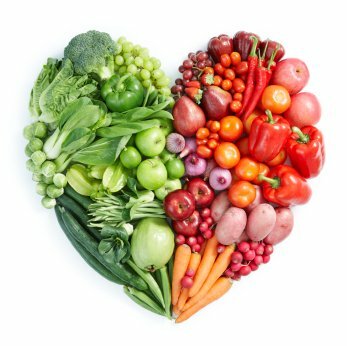 Press here to read about what's involved in a heart healthy diet. 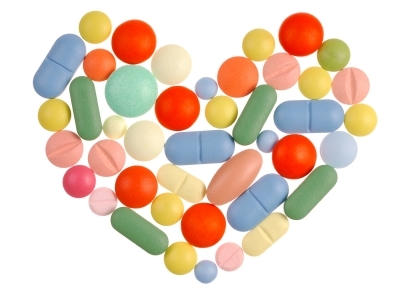 Press here to read about heart healthy supplements. Press here for more on the dangers of calcium supplements for heart health and why dietary calcium and not supplements is considered the best way of getting calcium. Check out anti-inflammatory diet, inflammatory foods and anti-inflammatory supplements to get a handle on preventing and resolving inflammation, a serious cause of damaged cholesterol and cardiovascular disease. Press her for more on the benefits of Vitamin C as part of a heart healthy diet. Press here for more on fish oil supplements and Omega 3s along with other healthy heart fats. Press here for more on fish oils, mental stress and heart health. Press here for more on the benefits of magnesium and how it can play a role in decreasing high blood pressure, a major risk factor for heart disease. Press here for more on the anti-oxidants anda orac values.